Onward is a non-profit employer-based mobile savings and credit app that enables workers of all income levels to build financial security. They help workers save effortlessly, build financial knowledge, and access responsible credit when emergencies strike. What the 401K is for long-term retirement savings, Onward is for short-term emergency savings. 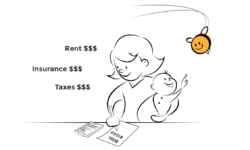 HoneyBee helps employees, regardless of credit history, access an extra week’s pay anytime to help manage unplanned expenses and build credit.